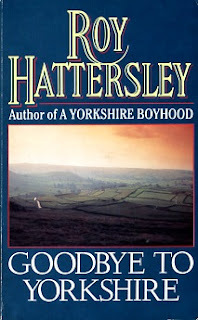 Many will remember Roy Hattersley as a senior Labour politician from Sheffield. His intelligence and erudition radiate from every metaphor, contrast and description in this collection of twenty two essays about the fading concept of Yorkshire-ness, first published in 1976. I enjoyed some of them immensely, especially the more autobiographical pieces, but others seem in places rather forced or even maudlin. Worthwhile if you make the effort.